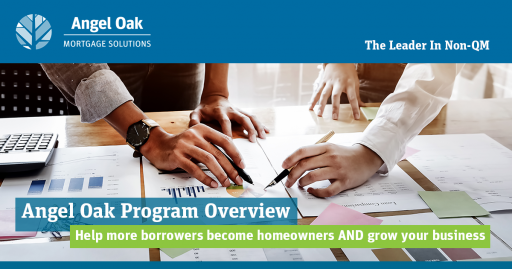 Angel Oak Mortgage Solutions has pioneered the resurgence and success of non-QM mortgages, making us the leaders in the space. We have experienced record setting growth in non-QM. In fact, non-QM is the only area in the mortgage industry with year over year gains and we continue to report increases in volume each quarter of 2019. Get an Instant Quick Quote!